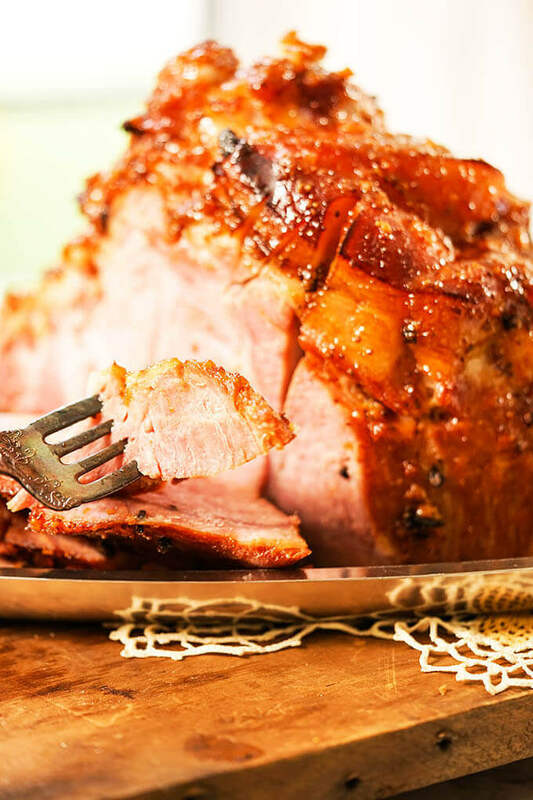 Orange Marmalade Glazed Ham is the perfect combination of salty and sweet with just a hint of spicy! If you’re making a holiday ham, this is the easiest and most delicious glaze that coats the ham with a sticky sweet glaze! 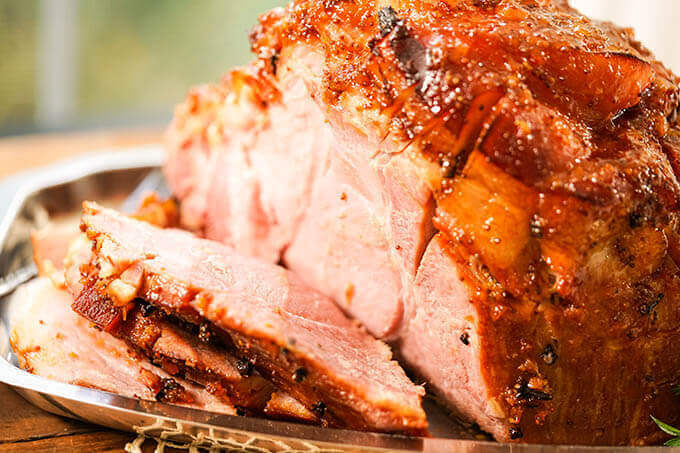 Marmalade Glazed Ham uses all the flavors of the marmalade to baste the ham while it bakes! We celebrated Easter a little early at the house! My folks came into town last week and so we made our holiday ham just a little early! I put it in the oven in the afternoon and glazed it before we took off for the airport. Since the airport is only 15 minutes away, we breezed in picked up Mom and Dad came home and took this beauty out of the oven. It was great having my folks here. We visited the camera store (you know ’cause Dad and I are camera nuts!) Ate just about everywhere and everything! Made barbecue and made homemade ice cream. You name it… we ate it! It was the BEST visit, it always is – my folks are so much fun! 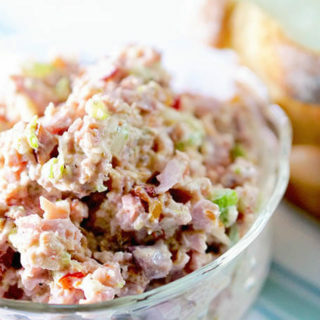 From this tasty ham we made Ham and Bean Soup (you know it! ), egg muffins and the day they left I made a yummy pot of Split Pea Soup – that is one of Dan’s favorites. Gotta love a great ham! Leftover ham makes the best sandwiches! How long do I heat a fully cooked ham? Ham is cooked when you purchase it, so basically you’re just reheating it the ham. At 325 degrees it will take about 10 minutes per pound. Cook the ham with the cut side down to help keep it moist and tender! How do you store a glazed ham? Leftovers need to be refrigerated. Wrap the ham in foil to keep it from drying out. How long does Glazed Ham last in the fridge? Ham will keep in the fridge for up to a week! Leftovers can be transformed so many different ways! If you don’t think you’ll use the ham in a week, be sure to wrap it well and freeze it. It will last 45-60 days in the freezer. I’ve “found” some ham in the freezer that had been there much longer and made soup and it was delicious. It’s all about how well it’s sealed! Start by inserting the cloves. Put the ham in a large pan, cut side down. Using a sharp knife, score the ham first one way, then the other to make a diamond pattern. 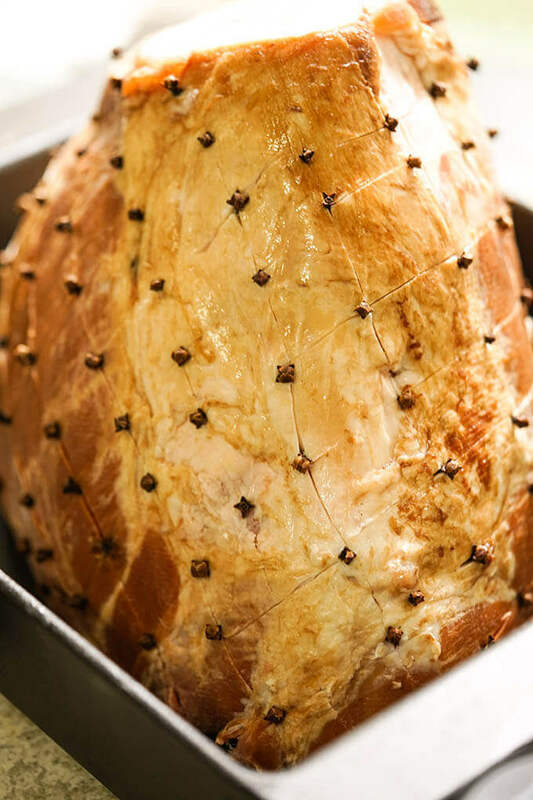 Poke the cloves into each diamond on the entire ham. Cover tightly with foil and bake for 1 1/2 hours. 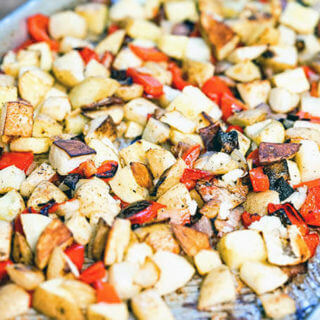 Prepare the glaze by combining the remaining ingredients in a saucepan on the stove. Heat over medium heat, stirring until all of the ingredients are well combined, reduce heat to low and simmer for 10 minutes. Set aside when complete. After the first 1 1/2 hours, remove the ham from the oven and baste it with the glaze then return it to the oven. Baste every 15 minutes during the next hour. 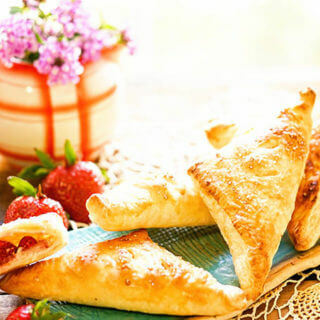 You can substitute several different types of homemade jam in this glaze – marmalade, plum, strawberry even grape jelly! Don’t have homemade jam? No worries! Buy it at the store, you will love this recipe, I promise! Orange Marmalade Ham Glaze is easy to make and so flavorful! 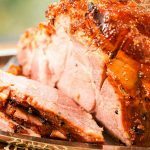 More great ham recipes to try! Still have leftover ham? Here are a few more recipes to try! 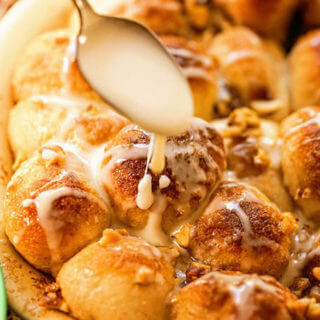 I love this roasting pan, I have a pan just like that was handed down to my from my Grandma! 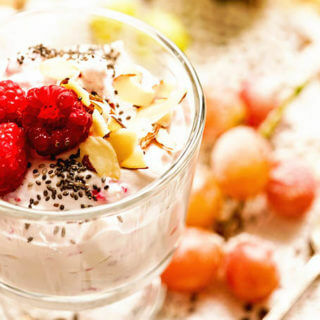 Try this recipe and love it? 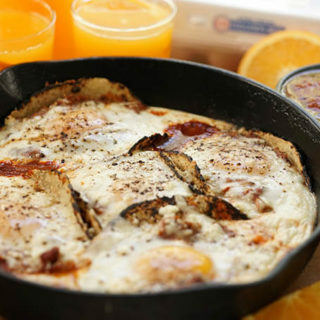 Please give me a five-star rating below, I know you’ll love this recipe! If you snap a photo and share it please tag me #bowlmeover or @bowl_me_over so I get to see your photos! 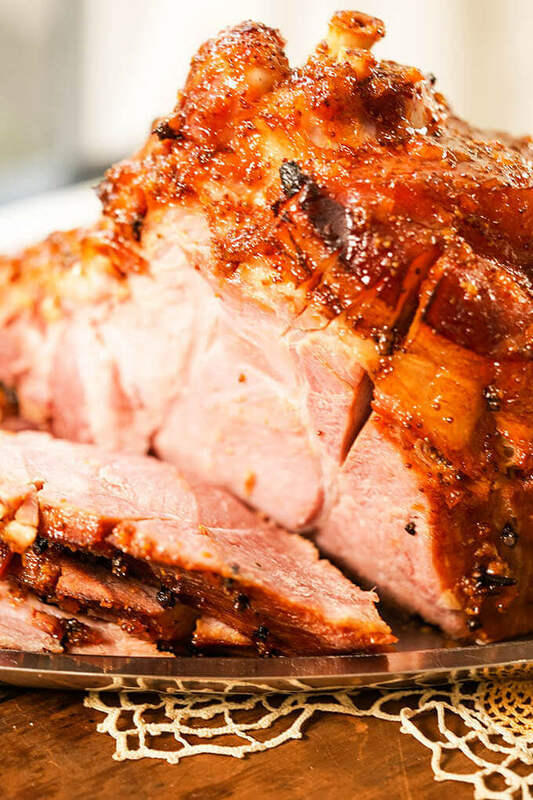 Orange Marmalade Glazed Ham - Why stand in line to buy an expensive glazed ham when you can make one at home that is even more delicious? Easy too - let me show you how! Place the ham in a heavy bottom pan. Using a sharp knife, score the ham first one way, then the other to make a diamond pattern in the skin. Poke the cloves into each diamond all over the ham. Cover tightly with tin foil and put in the preheated oven for 1 1/2 hours. While it is baking, prepare the glaze. Combine the remaining ingredients in a sauce pan on the stove. Heat over medium heat, stirring until all of the ingredients are well combined, reduce heat to low and simmer for 10 minutes. Set aside when complete. After 1 1/2 hours, remove the ham from the oven and baste it with the sauce. Return it to the oven. Baste every 15 minutes over the next hour, so 3 or four times. You'll bake it for about another hour until it is heated thru. It will be glossy and gorgeous and oh so delicious! Now here's the hard part.....just slice and eat! 😀 If you have any leftovers, they are great for scalloped potatoes, ham and cheese omelets or ham sandwiches and whatever you do.....don't throw away the bone! That makes the BEST soup! Now yes....you can buy a pre-glazed ham at the store but truly, you'll be happier with this and you'll save a ton of money! We had this for a family dinner a few weeks ago and was just delicious. Will feel a large hungery family or a group of friends. I agree! Perfectly for a crowd and delicious for leftovers on day two!